Styling Fabric Collections + Sewtopia Winners! When styling photographs, Nissa and I tend to lean towards an eclectic aesthetic with layers of textures and sometimes unexpected colors. We love to create lived-in, warm looking environments and using props that match perfectly or all came from the same store make this type of look a little less believable. Having said that, sometimes being matchy-matchy is just what a photo needs! Page + Pixel is a sponsor of Sewtopia, an awesome sewing retreat that happens in a different American city twice each year. It's a fun event that gives quilters a chance to veg out with their sewing projects AND explore a new city—all while being pampered with meals and snacks and prizes. One of the recurring activities is the Michael Miller Fabric Challenge. Michael Miller Fabrics provides quilters with a funky fabric collection and the participants bring a sewn item to the retreat to get voted on by the attendees. There are 3 winners (sometimes more!) and Page + Pixel gets to take styled photos of the winners! When shooting the projects for Sewtopia, Nissa and I decided that being inspired by the color scheme of the fabrics was the way to go. All of the projects were made using a fabric collection and it would be distracting to introduce a drastically different color. This made the styling really fun! We searched for all of the blue, orange and black props we could find...if they were space or science-themed, it was a bonus! While styling a photo, we constantly remind our selves that the project is the star and the props play a supporting role. The key is to find the right balance so that the images still tell a story and feel authentic. 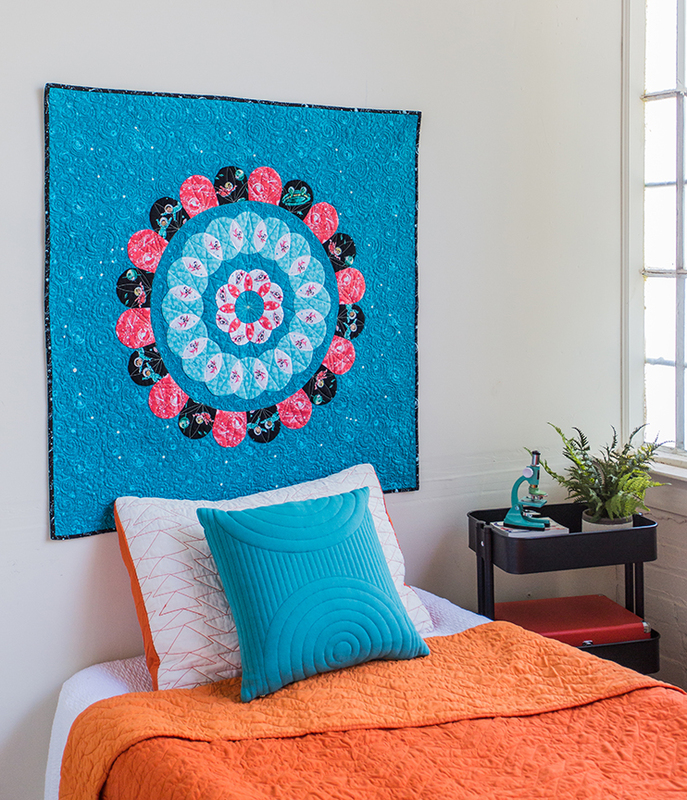 What's your propping strategy for taking photos of projects made with fabric collections?